An unexploded military device discovered near a North Sea platform will remain there until the spring. A specialist marine company has decided that moving it during the winter is too dangerous. 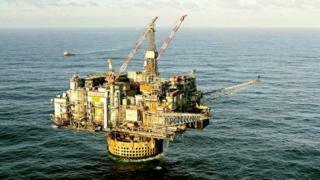 The device was found on the seabed near the Ninian Central platform on 26 August. It was discovered during a routine inspection of pipelines near the platform, east of Shetland and an exclusion zone was set up. The Ninian Central's operator CNR International said detailed risk assessments had been carried out which concluded that "removal in this timeframe is safer than attempting a removal during the winter months". It said it had advised the relevant authorities of its plans and was speaking to about 200 people currently on the platform. A spokesman said: "The device has been classed as safe in its present location, and there continues to be minimal risk to personnel, infrastructure or the environment."